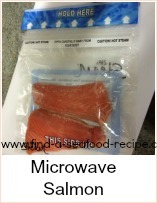 This poached salmon recipe uses the microwave to cook the salmon. 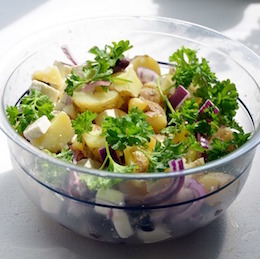 You could make this salad any time of year - there's always bags of mixed salad leaves and new potatoes available in the supermarkets these days. You can serve it either warm or cold - I like warm best - but it can be prepared in advance and assembled just before serving if you prefer. Place your salmon fillets in a microwave dish, sprinkle lemon juice and pepper over and cover. 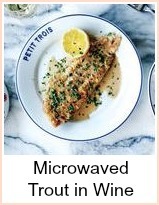 Microwave for 5 to 6 minutes until the fish is just beginning to flake. Allow it to cool a little and remove all skin and bones and break into generous sized chunks. Cook the potatoes until tender - about 10 to 15 minutes in a pan of boiling water - cut into pieces. Combine all the dressing ingredients together - taste and perhaps add a little bit of sugar if you want to. Heat the oil in a frying pan and slice the ham into strips - fry until crisp. Take the salmon, potatoes, spring onions and then pour over the dressing - mix together gently. Put the salad leaves into a serving bowl and pile in the salmon mixture - top off with the crisp ham. 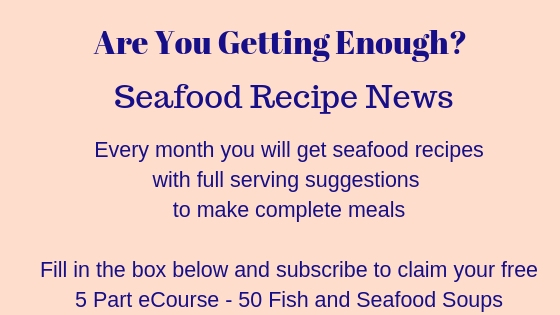 This poached salmon recipe would be good served with crusty bread as a main course or in individual portions as a starter. 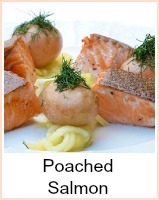 How to poach salmon in the microwave - serve with a lovely salad.